Whether you live in a flood prone area or you tend to deal with basement flooding, choosing the right flooring can make a world of difference. At your NJ carpet cleaning company, we are thrilled to be able to help our customers to choose the flooring that will best protect your home in an area where floods are a more common occurrence. When you are choosing a flood resistant floor for a basement that deals with this issue often, treated or waterproof concrete is a fantastic choice. Treated concrete tends to have a coating, like stain or epoxy that helps it become stain resistant. A waterproof concrete may be less appealing to the eye, but it certainly does a fantastic job in resisting flood damage. 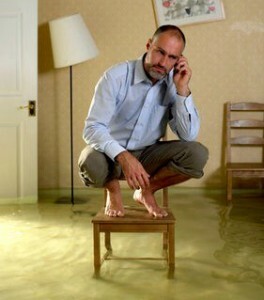 Another great choice when trying to avoid flood damage is ceramic tile. Often used in bathrooms and other wet environments, ceramic tile is known for its flood resisting qualities. When adhered with mortar, ceramic tile will resist mildew, mold and water, will hold up well for years to come and is also easy to keep clean. For home or business owners looking for a low cost floor that will not be destroyed in a flood, rubber is a great choice. Customers will find that rubber floors tend to be inexpensive, slip resistant and will protect your home against mold and mildew. Offering flood cleanup service in NJ, Best Way Carpet & Tile Cleaning often deals with the aftermath of floods and have found that some flooring options tend to hold up better than others. Many home and business owners choose vinyl flooring because of its inexpensive price and ability to resist mold and mildew. While rolled vinyl flooring is a great option to protect against water damage, individual tiles will allow for more water to make it under its surface. As far as durable flooring options go, carpet tends to be the least durable for those looking to protect their home or business against water damage. While it is lower in cost, it will not likely hold up in a flood and is prone to developing mold and mildew. Whichever flooring option you choose, you can feel confident that the team at Best Way Carpet and Tile Cleaning can not only keep your home or business looking fresh and clean, but also help you to deal with the aftermath of a flood. To learn more about our services, we invite you to give us a call at 732-391-6500 and visit us online at www.bestwaycleaning.net. This entry was posted on Wednesday, August 28th, 2013 at 5:07 pm and is filed under Carpet Cleaning in NJ.